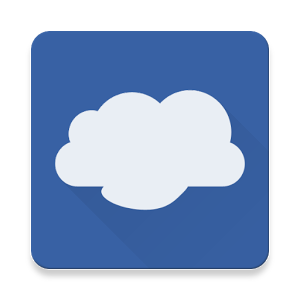 FolderSync is a super powerful Android tool that has been around the block for several years and has been growing stronger with each update. Its main job is to synchronize folders between your phone and different cloud storage providers like Dropbox, Google Drive, Box, OneDrive, Amazon Cloud Drive, and more. The most recent update to the app to version 2.9.0 added a couple of features that keep it updated with the latest Marshmallow APIs. If you're using a pin code to lock unwanted users from accessing the app, you can now unlock faster using the fingerprint sensor on your phone. And when you first install the app on a new device, you'll be able to grant granular access to different permissions thanks to Marshmallow's runtime permissions. The app will also ask you to re-authenticate with Dropbox because of the migration to the V2 API (Dropbox V1 API was deprecated last week). Notice: Dropbox users must re-authenticate accounts because of migration to V2 API which uses OAuth2. In some cases reselection of folder on folderpair is nessecary. Both the paid version of FolderSync and FolderSync Lite have received the update to v2.9.0, so you can grab whichever you want from the Play Store widgets below.